Rome was one place I had been before but didn’t get the full experience and I was determined to make the most of my time in the bustling city. By the end of my two full days, I had covered several kilometres by foot, been in more than 10 churches, and eaten enough pizza, pasta and gelati for a – well, who am I kidding – I could always go back for more! I went snap happy with the camera as you can see by the gallery but there is a lot to see in the Italian capital. Taking an afternoon flight from Luton airport (another one of those pain in the arse London airports) I was treated to a view of the Swiss Alps midway through the 2 hour and 20 minute flight south. With mainland Europe an hour forward to London’s time, I was at Fiumicino – the larger of Rome’s airports – at around 4pm. As with most of European airports, this is well serviced by rail (and bus) with a direct line to Roma Termini (Central station) taking just under an hour and costing a bit on the pricey end of transport at 14 euros – just remember to validate your ticket before you get on the carriage! I stayed at Funny Palace Hostel (nothing amusing about the place) that was very close to Termini, about a three block walk. Roughly 10 pounds a night with a pastry and cappuccino breakfast included (nothing spectacular though) and use of a towel! 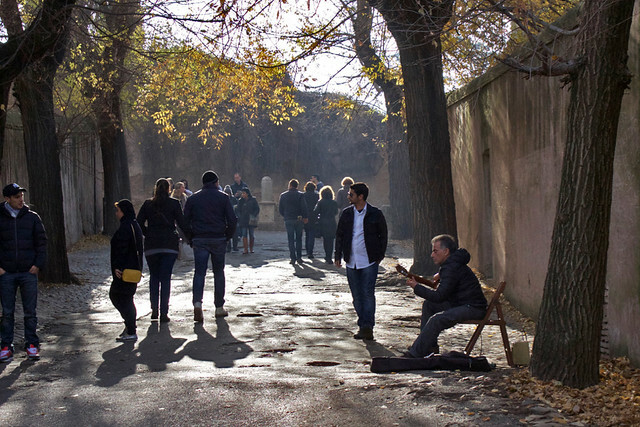 Rome’s council taxes tourists that stay in town at a rate of about three euros per person, per night – so that is charged as an extra and is sometimes a hidden cost when booking accommodation. Five people to a mixed dorm with a shared bathroom made the stay cosy. There weren’t any bunkbeds at this hostel and the room was split in two sections with two single beds in one and three in the other half separated by a wall and the noise echoed because of the tiled floor and high ceilings so anyone sneaking in late at night or out early in the morning was bound to wake the room. By the time I had checked in and settled myself it was 6pm and already dark, which is the perfect time for a walk to the Trevi Fountain. 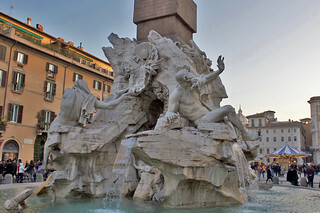 It’s about a 20 minutes by foot from Termini to the Trevi district where the tourist destination is located. The fountain is best seen at night when it is lit up and there is also a light show where projectors illuminate the backdrop at regular intervals. 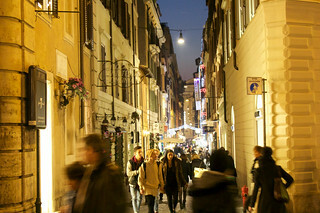 The surrounding areas host several restaurants and gelato shops so it comes alive with tourists during the evening. Various languages can be heard as tourists take it in turns to pose in front of the attraction. On the particular night I was there, you could mainly hear American English, much to my disappointment. 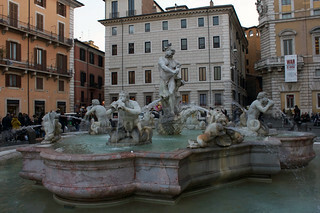 The Trevi fountain is featured in many films as a romantic spot and according to some tradition, visitors throw coins from their right hand over their left shoulder to have their wish granted. It’s also a good way to get rid of those pesky 1 euro cent pieces that are only taken in some countries but not others! But the romance was real on 17th December 2015 for at least one gentleman, who proposed to his girlfriend drawing a loud applause from the couple hundred that were watching on! For me though, a quick feed of homemade pasta with carbonara sauce and a chocolate gelato was just as romantic and that brought my first night in Rome to a close. I was in preparing for a big day of walking to come. 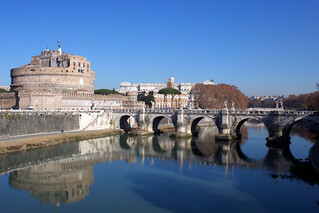 Rome is a city designed for exploring on foot. You can easily get lost but find something amazing to see just around the corner. ‘Organised chaos’ is perhaps the best way to describe traffic flow in the city. While there is a high density of pedestrian movement, cars and buses still rule the streets. The first thing you will learn or quickly realise is that you must suspend all natural fears of being hit by a car when you step onto the street. You simply can not allow yourself to be frightened by serious injury or even death, otherwise you will be left waiting on the street corner for a very long time. A couple of landmarks that I found particularly useful to help guide my way around the city was Termini. Three blocks running south west is Basilica Papale di Santa Maria di Maggiore, which is big enough to occupy a whole block. And a north west of this is the Trevi Fountain. 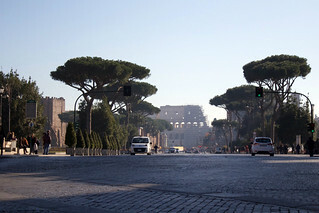 I liked referring to the Basilica of Saint Mary Major as you can follow one street (Via Panisperna) all the way to the Trevi fountain that’s in a north-west direction, or veer south west down Via Cavour to Foro di Augusto where along the way you will see glimpses of the Colosseum. Vatican City is on the other side of Fiume Tevere and roughly a straight line west of Termini but the walk is actually full of turns and changes in direction so I couldn’t tell you to follow one road. You simply can not allow yourself to be frightened of sustaining a serious injury from a car, bus or moped, otherwise you will be left waiting on the street corner for a very long time. Google Maps told me it would roughly take an hour to walk from my hostel to St Peter’s Basilica in Vatican City, but I found myself carried away by the attractions along the way and after stopping several times for a snap or a selfie the walk took bit over three hours. Temperatures in the low teens and with very minimal cloud cover made exploring a lot easier. Here are a couple of photos from along the way. What I particularly like about the city is the culture that is on display. I don’t just mean the vibe of being in a modern city surrounded by remnants of a great civilisation. I’m referring to the many artists that draw, sketch or paint for long periods of time. 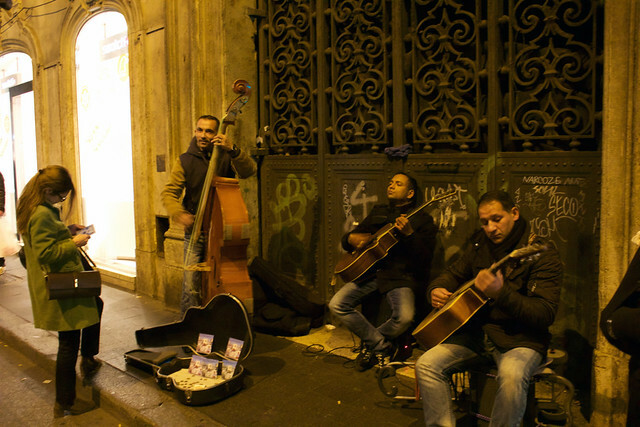 And then there are street buskers who are talented musicians whose tones uplift the city. Particularly the painters and drawers, they appeared to be in their own world, as if the busyness of what is going on around them weren’t a bother. Most will display their work and they don’t mind if you peer over and admire their great talents. As you walk towards Vatican City, you can see the dome of St Peter from a distance. And when you get closer and closer, you get a real sense of the building’s grandness. 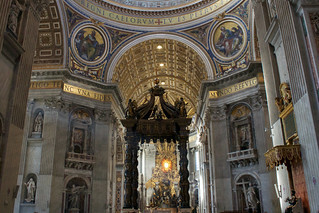 Standing at the doors, I was thoroughly in awe of the the size of St Peter’s square and basilica. 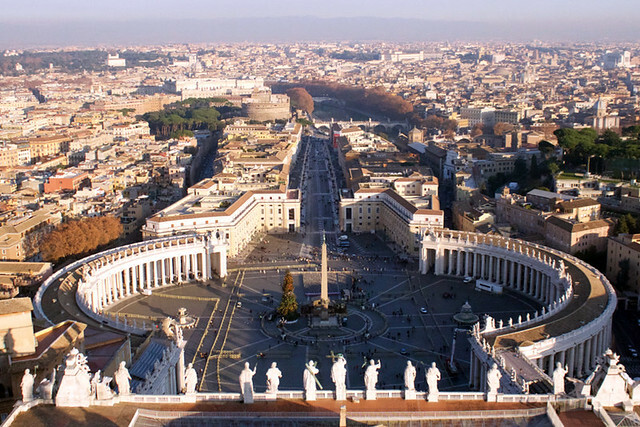 There are few places in the world that rivals such architecture, and significance it holds for the 1.2 billion Roman Catholics. 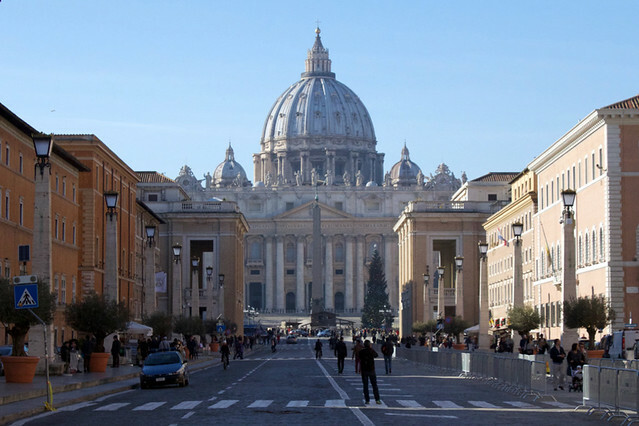 While it is a place of pilgrimage and where the Pope presides over a number of services throughout the year, it is not actually the seat of the Bishop of Rome, or the “mother church” – that is the Archbasilica of St John Lateren. 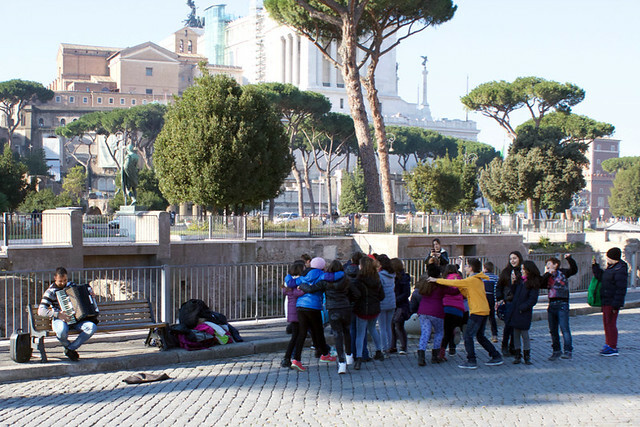 St Peter’s, rather, is believed to be the place where the first leader of the church, St Peter, is buried – funny about that! The area is free to access but you pass through security checks to enter. 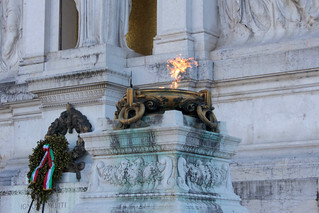 Other than that, you don’t notice you’ve actually passed into a different sovereign country, Vatican City. 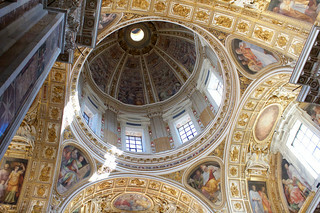 Work began on the Basilica in 1506 and completed on 18 November 1626 (just under 120 years)! While the saying is “when you’ve been to one church in Europe, you’ve been to them all” – this one is not like the others. There are so many parts to the building to observe – alters and spaces of prayer, statues of former Popes and saints, and once you’re done looking at ground level, you just look up and admire the ceiling. You don’t have to be Catholic, Christian or religious to appreciate what a special place this is. The Basilica also has a treasury gallery that displays some of the expensive garments, chalices, mitres and other items used for rituals. There was a seven euro entry cost that again awkwardly got waived because of my hand. It’s a small collection but there’s some fascinating objects that date back half a millennia. 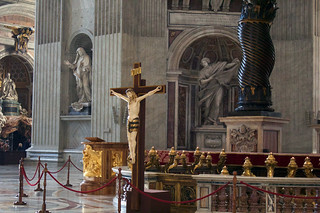 If you follow the signs to the right of the main entrance, there is the entry to where the Popes are buried. 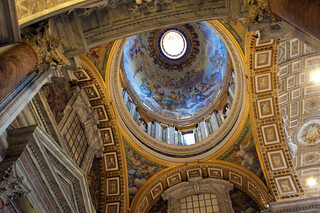 And next to that is the entry to the Vatican dome, which have the best views of Rome. 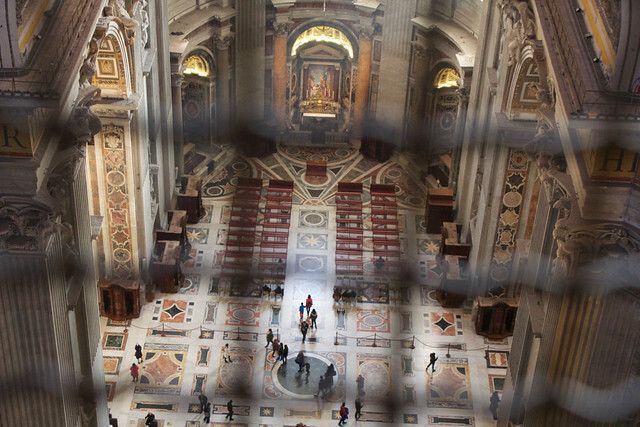 There are so many parts to St Peter’s Basilica to observe – alters and spaces for prayer, statues of former Popes and saints, and once you’re done looking at ground level, you just look up and admire the ceiling. I missed out on doing this last time, so this was a priority. For six euros you can climb to the top via stairs or a for eight euros via the lift. This is definitely worth the money because as I said above the views are amazing. The lift only takes you to the rooftop, you will need to climb close to 500 more stairs to reach the pinnacle of the dome. And warning, the stair case gets narrow and there will be many times you feel like there is no end! I didn’t make it back to the Vatican Museum this time – I had been there before. But I found that the square wasn’t overly busy, and I can only assume after lunch or late in the day would be a good time to go if you wanted to avoid the tourist crowds. But then again it could just be more luck that it was quiet. 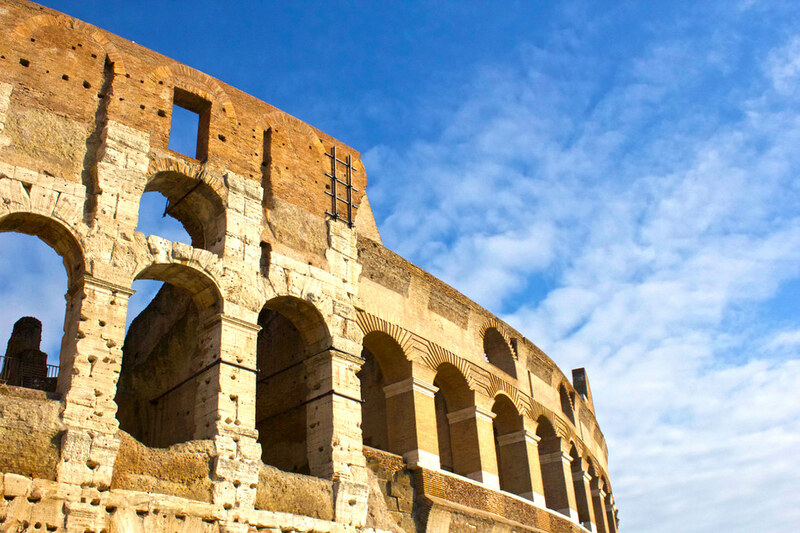 You can’t go to Rome and avoid seeing the ancient ruins and Colosseum. My second and final full day in Rome was spent visiting the areas that I hadn’t come across the day before, or places where I wanted to spend a bit more time. 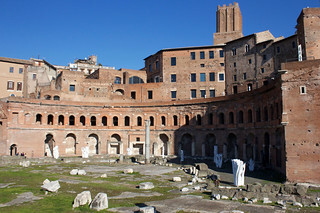 The first was the area around the Roman Forum. 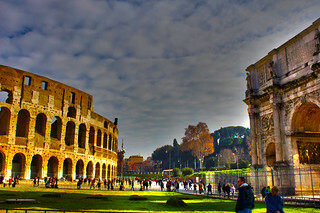 When I approached the Colosseum, I was getting a similar feeling to the previous day at the Vatican. I couldn’t help but marvel at how the Romans thought out and constructed this entertainment centre. The scale of the Colosseum is mind-blowing. The giant amphitheatre was built of sand and cement, with work beginning around 72 CE and finishing around eight years later. And much like at St Peter’s Basilica, everywhere from the Roman Forum to the precinct around and in the Colosseum is a tourist hotspot. You can tell where there are a lot of holiday makers by the number of ‘selfie-stick’ sellers trying to secure the ultimate sale. You can tell where there are a lot of holiday makers by the number of ‘selfie-stick’ sellers trying to secure the ultimate sale. I had given myself a bit of a sleep in, as I was using my time here as a ‘break’ so when I arrived around lunch time on Saturday, I was expecting it to much busier than it was. 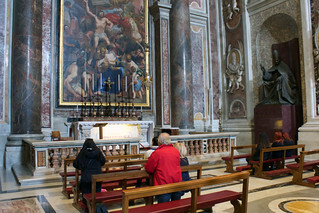 The lines to get tickets weren’t too bad, but like the Vatican museum I had been to these areas before and was content to marvel from the outskirts for free. Sitting in the sun, eating the free croissant from the hostel and watching all the selfie-takers attempt to squeeze their heads and most of the Colosseum into a shot, was also keeping me happy. I wasn’t judging them as I had tried to do the same earlier – maybe I needed a selfie-stick? While in Italy, I needed to make the most of the good pizza, pasta and gelato that was readily available, so I made my way to Campo de’ Fiori. My trusty map (I tend to get more lost with a GPS on my phone than a printed map) had an advertisement for a walking food tour which began at the market place, which I naturally assumed made it a good spot to find some good Italian food! The markets that occupy the area were busy with fresh fruit and vegetable sales, fancy cooking oil, and clothes. And around the square were several restaurants with their slight subtleties in menu (and prices). 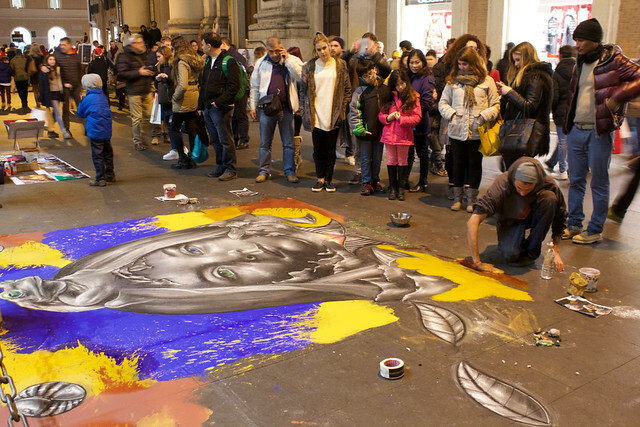 Much like the places near the Trevi Fountain, each had someone out front to lure you in. I settled on home made lasagna, and after resting my feet, I was happy to keep exploring. Next was the Pantheon, which was only a couple of blocks away. The plaza around this place of worship, Piazza della Rotonda, was a buzz with activity and inside was busy as well. It didn’t feel like a church, but there were some obvious clues – like the various statues of saints that lined the wall. The day was getting away from me. It was getting dark and I wanted to visit a few more places that had been marked on my map. 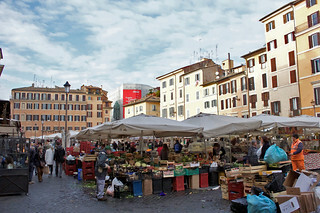 I had walked through Piazza Navona the previous night after the Vatican and didn’t think much of it, but using it as a thoroughfare to my next destination, the piazza during the day was something different. A mini Christmas market with carnival rides and games had taken one end. Two big fountains gave the area a nice character. A little island on the river had the small basilica San Bartolomeo all’Isola. It wasn’t really that breathtaking as some of the grander places of worship, however each had their own unique style and many featured artworks. 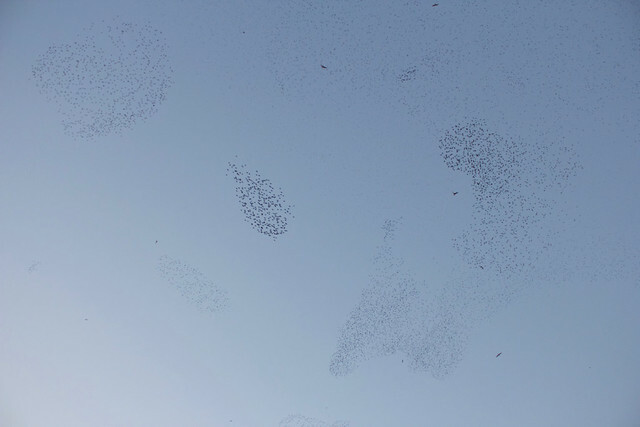 What was, however, more fascinating were the hundreds of birds that had taken to the skies as the sun was setting. I hadn’t seen anything quite like it and judging by the people around me at the time, neither had they! There was more wandering around the city to do, and as sunlight fell, the Christmas and street lights began to illuminate, which brought a new wave of people to the streets and a new burst of energy. I mindlessly neglected the Spanish Steps on the night I went to the Trevi Fountain so I paid the price of a 40 minute walk back in that direction. I was already given the warning that they were undergoing renovations and were partly closed. What I ended up joining was the hustle of late Saturday night shopping. I’m not a big fan of crowds, but this was one that was in a good mood and was helped along by the atmospherics of the area. Street musicians and artists lured my attention several times and with the roads closed off to cars the foot traffic was moving safely and happily. 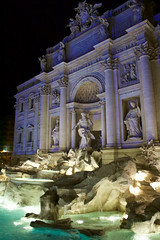 Rome is just as exciting at night as it is in the day. 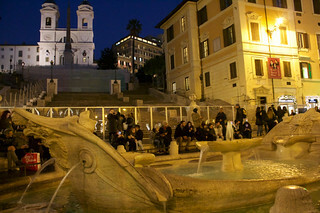 There were still many people out and about around the Spanish Steps and not too far away from that at Piazza del Popolo. I will leave this long stump with three of my favourite photos from the weekend that came from walking around at night. 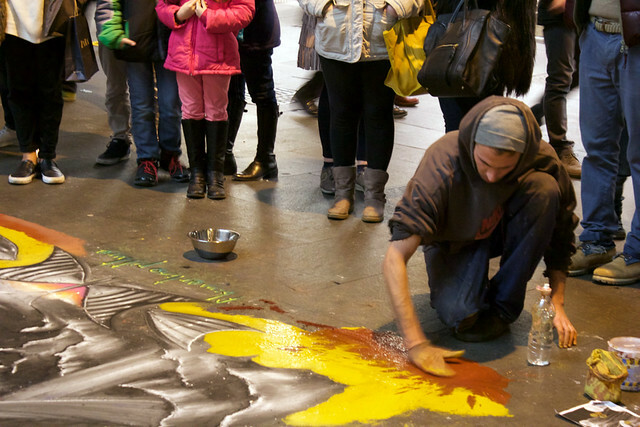 They are of a street artist that was working away as the herds of people walked past him. He’s using chalk-like pastels and to complete his design. 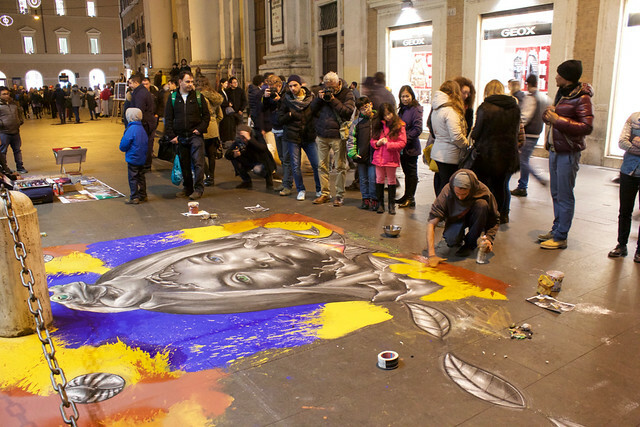 The pictures sum up my experience of being in Rome – lots of people taking a keen interest in creative culture.